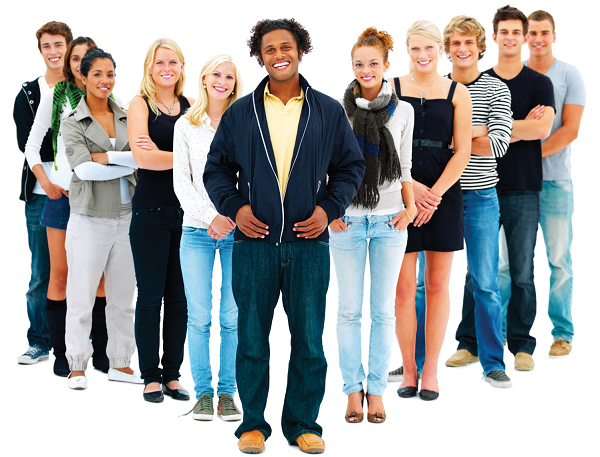 Recruiting Millennials: They're People Too! Before you go shaking your curmudgeonly fist at the generation of millennials entering the workforce, with their techno music and ironic tee shirts, you need to know how valuable they can be for your organization. Not only because by 2014, 36% of the workforce will be made up of millennials, or by 2020, that figure will be 46%, but because they actually bring a lot to the table. Millennials offer new skills and viewpoints that may not currently exist in your office. They are the first generation to have grown up completely immersed in the terrifying wonder that is the internet, and are therefore more tech-savvy than preceding generations. While millennials do not differ so much from Gen-Xers or Baby Boomers in what they expect from their careers, they prioritize differently. It’s because of this that you risk falling out of touch and not being able to recruit any millennials. An aging organization is a dying organization, and the key to freshening your brand may just be fresh blood. Below are some facts about millennials and tips on recruiting them to work for you. Just relax. They’re still humans, albeit just a little more narcissistic. They are the Trophy Generation, after all. When some people say they want to change the world in their job interview, it comes off as a little cheesy. Yet when millennials say it, they likely mean it, so you need to know how to respond. Nearly one-third of all millennials want to know the work they’re doing is meaningful. Thus, when recruiting them, you need to frame their work in a way that clearly outlines who they’re helping, and why their job will carry import. If they believe they are doing a little good in the world, they’ll be more inclined to work for you. Travel seems like an obvious perk that you would want to highlight for any prospective employee, but millennials value experiences abroad more than any other generation in the past. Perhaps it is due to the rapid globalization of our world, but 66% of millennials feel they need to gain international experience to further their careers, while 71% said they would like to work abroad at some point. If their job will involve any travel, be sure to mention that in job descriptions and interviews. If the job will not require travel in the near future, but could evolve to that point down the road, feel free to share that as well. Love it or hate it, you better LIVE it. It increasingly seems like social media has come to define millennials, and if you’re going to successfully recruit them, you had better be engaging on those channels as well. First, it gives millennials a way to familiarize themselves with your brand. Think of it like dating. They want to know what you’re like, what your beliefs are, and if you hog the covers at night. Maybe not that last part, but you get the idea. Secondly, it opens a line of dialogue between millennials and your company/your employees. Be forewarned, however, that for your social media campaign to be successful, you cannot simply create a Twitter and expect the millennial floodgates to open. You have to actively engage with your audience. While 38% of millennials said they would like mostly regular work hours with some flexible working, 32% said they would prefer mainly flexible hours. 32%! Now, I don’t know if that’s so different from previous generations, or if millennials are just the brashest to actually say so. Either way, let them know if your company is easily adaptable to its employees’ needs (e.g. working from home some days, needing a half-day here and there, catching up on work at night/weekends), or if there are firm expectations about office work hours. For all those diehard RecruitiFi blog readers out there, you’ll remember we touched upon the importance of onboarding a few blogs ago. In that piece, we wrote that mentors who can show new employees the ropes and offer them guidance are seen as a huge draw. That is no different with millennials. A full 22% see training and development as the MOST valued benefit from an employer. Don’t be afraid to brag about the great staff and training programs you have. Ultimately, millennials aren’t so different from you. Maybe they have a little more hair on their heads and a little less wrinkles on their faces, but it’s not like you can’t get water on them or feed them after midnight. If you treat them like people, and highlight the things discussed above, you’ll be up to your neck in qualified millennial workers.